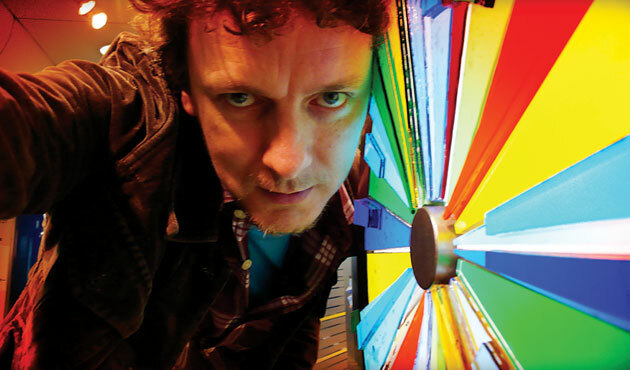 Twitch is reporting that Michel Gondry has begun filming his seventh film 'Mood Indigo,' the French language film is an adaptation of Boris Vian's 1947 novel 'Froth On The Daydream' (L'Ecume des Jours). The film stars Amelie's Audrey Tatou with Romain Duris, Gad Elmaleh, and Omar Sy, shooting is expected to last until late July. The film is set for a 2013 release. The protagonist, Colin, is a wealthy young man with a resourceful and stylish man-servant, Nicolas, as well as a fantastic olfactory-musical invention: the pianocktail. With dizzying speed, Colin meets and weds Chloe in a grand ceremony. Generously, Colin bequeaths a quarter of his fortune to his friends Chick and Alise so they too may marry. Happiness should await both couples but Chloe falls ill upon her honeymoon with a water lily in the lung, a painful and rare condition that can only be treated by surrounding her with flowers. The expense is prohibitive and Colin soon exhausts his funds. Meanwhile, Chick's obsession with the philosopher, Jean-Sol Partre, causes him to spend all his money, effort and attention upon collecting Partre's literature. Alise hopes to save Chick financially and renew his interest in her by persuading Partre to stop publishing books. She kills him when he refuses and seeks revenge upon the booksellers. Colin struggles to provide flowers for Chloe to no avail and his grief at her death is so strong his pet mouse commits suicide to escape the gloom.